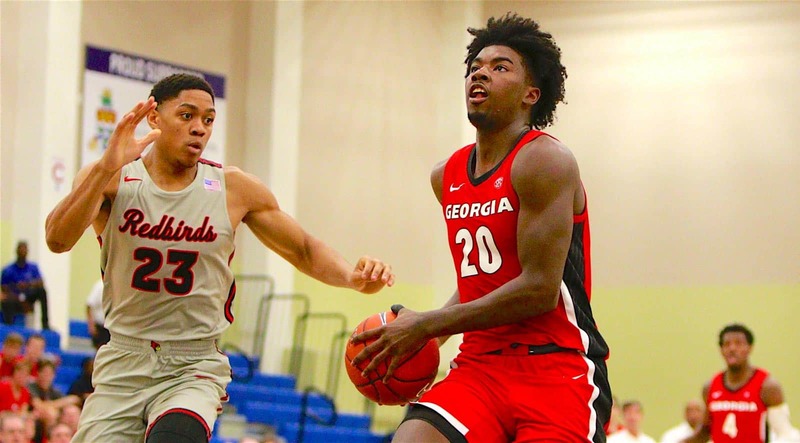 GEORGE TOWN, Grand Cayman – Sophomores Rayshaun Hammonds and Nicolas Claxton finished with career-high points to lead the University of Georgia men’s basketball team to a 80-68 win against Illinois State in the first game of the Cayman Classic at John Gray Gymnasium on Monday afternoon. 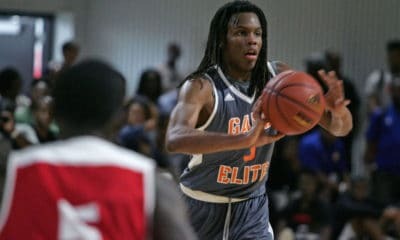 In the first-ever meeting between the two programs, Hammonds was the top-scorer for the Bulldogs with 31 points to give him his third-straight double-digit performance on the season. Hammonds also added seven rebounds. 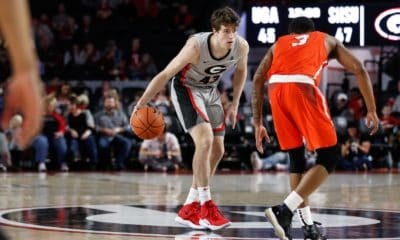 Claxton, who has also has three double-digit scoring games this season, was the second-leading scorer for Georgia with 22 points and a team-high 11 rebounds. 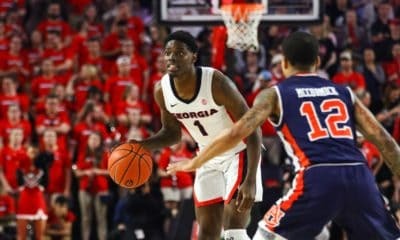 Georgia improves to 3-1 on the season and will play No.16 Clemson on Tuesday at 1:30 p.m.
Hammonds, freshman guard Tye Fagan and senior forward Derek Ogbeide contributed to a 13-0 run to give Georgia a 16-2 early advantage before five minutes of the game elapsed. As the half continued, Hammonds scored 16 points in under 12 minutes and knocked down six of his 10 field goal attempts, including two back-to-back baskets in transition. Going into halftime, the Bulldogs led 47-26 over the Redbirds, with Hammonds scoring 18 of Georgia’s first-half points. Early in the second half, four Bulldogs contributed to another stellar scoring run – this time a 10-0 swing. Senior forward E’Torrion Wildridge, Fagan and Hammonds scored two points apiece. Claxton finished the Bulldogs’ run with four points, including a dunk to give him double-digit points and a 63-40 lead at the 14:20 mark. The Redbirds pulled within 11 points later in the second half, however the Bulldogs did not let their lead dip into the single digits to secure the first win in the Caymans Classic. Defensively, Claxton continued his blocking efforts with adding two blocks. Of the four games this season, he has at least two blocks in each game. 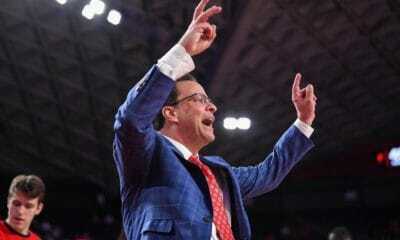 The matchup against Clemson on Tuesday will be the first ranked opponent for the 2018-19 Bulldogs.